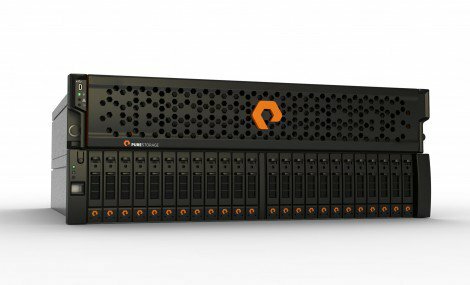 Exciting day today for Pure Storage, a recent logo design client of mine. Today is their official company and product launch after a long period of operating in stealth mode. It’s one thing to see your logo on a website, business card or even shop front, but quite another when you know it takes pride of place on the latest possible storage technology. 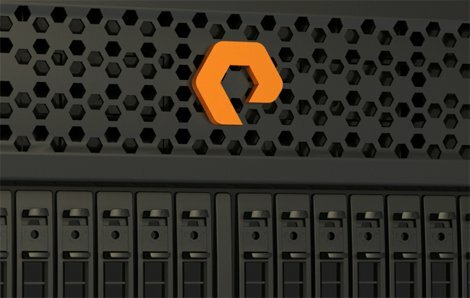 When Pure Storage approached me last year I had no real idea of the end result due to the highly secret and sensitive nature of their product and plans. I had a few rough visuals to work to but could not have foreseen how the logo would eventually end up being applied to the FlashArrays. The manor in which the logomark has been cut-out and raised to take pride of place on the FlashArrays with the vibrant orange set against the gun-metalesque enclosures provides for a pretty strong brand image. Pure Storage did not stop there with the application of the logomark as they have also shaped each perforation so as to, seemingly, form the letter P.
This post is just to show-off how the Pure Storage logo has been applied with a few product photographs that have been made available to me. 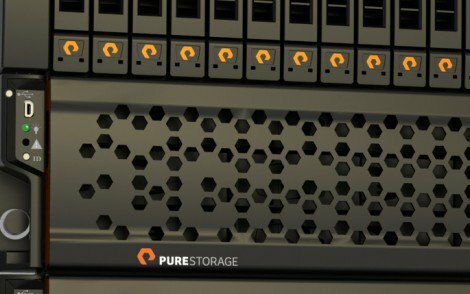 A proper logo process post for Pure Storage is in the works. Matt Kixmoeller, hired Graham as a Graphic/Web Designer in 2010. 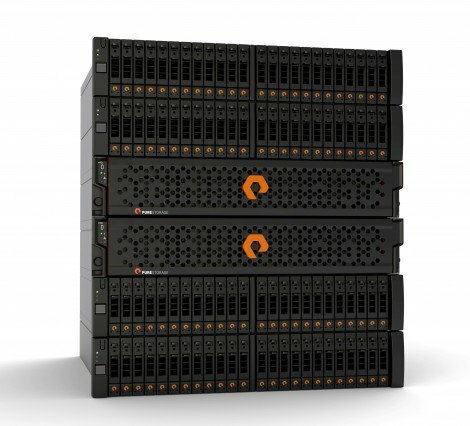 “I hired Graham to drive our identity design at Pure Storage. Despite his remote location (in the UK vs. us in the US), Graham felt like part of the team and really wanted to understand our company and value so that he could drive an identity for us that was reflective of that and differentiated in the market. I’d say we were a challenging project for Graham. We hired Graham after a failed project with another designer, and had high expectations for this project and many opinions on our side to bring to ground. 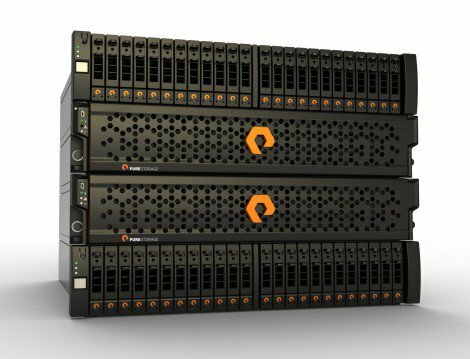 Graham stuck with the process through many rounds of iteration until he had that “flash of brilliance” moment (you can read about this on his blog: Pure Storage Logo Overview), and once we had the right logo everyone was instantly on-board. Our identity has proven over the past year to be a real asset for Pure Strorage, and has been something that we’ve feature everywhere from web usage to in physical 3D form on our actual hardware product. 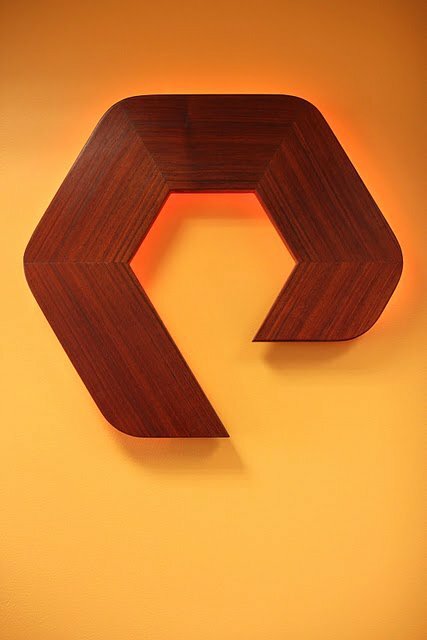 Just wrap up this post I just had to again include this wooden back-lit version of the Pure Storage logo mark that Matt carved for the office reception. Looks stunning.